Stephen Moulton, great-grandfather of Alex Moulton, was the man who brought vulcanised rubber to Europe in the 1840s. Prior to Charles Goodyear's discovery of vulcanisation, rubber perished easily and cracked in the cold. Goodyear's Improved Rubber solved this problem of durability and founded the rubber and plastics industry. Stephen Moulton was Goodyear's emissary to England, and in 1848 he founded his own rubber manufacturing plant at the KIngston Mills, Bradford on Avon. Liquid latex is tapped from rubber trees and, when left to dry, forms natural rubber sheets. It was not until Charles Goodyear's discovery of the vulcanisation process that rubber became a durable, practical material. 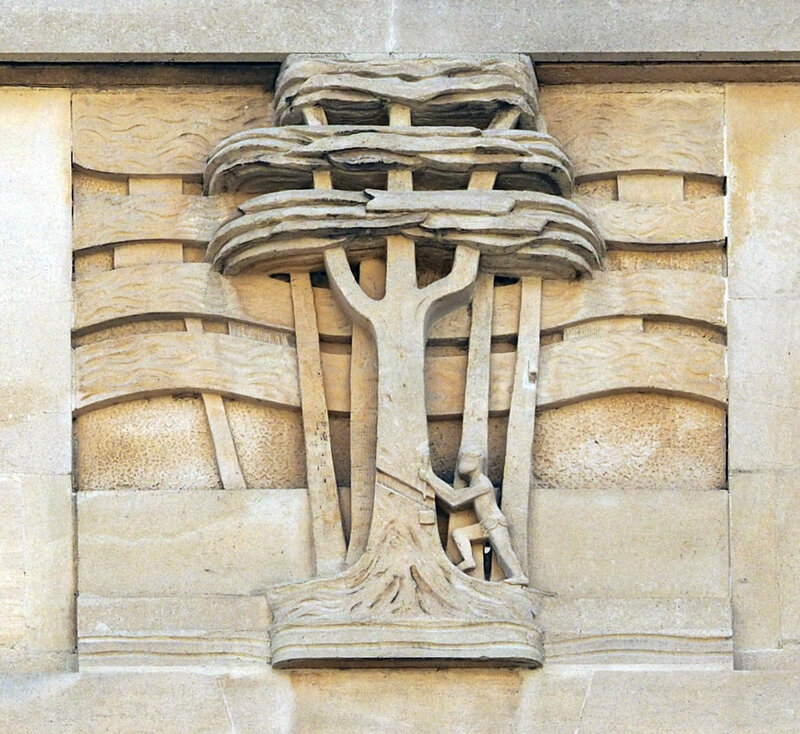 The image above, showing a rubber tapper at work, is cast into the front of the Spencer Moulton Centenary Building on Kingston Road. When Stephen Moulton established his rubber factory in the KIngston Mills in 1848, he needed specialist machinery of a type not seen in Europe before. 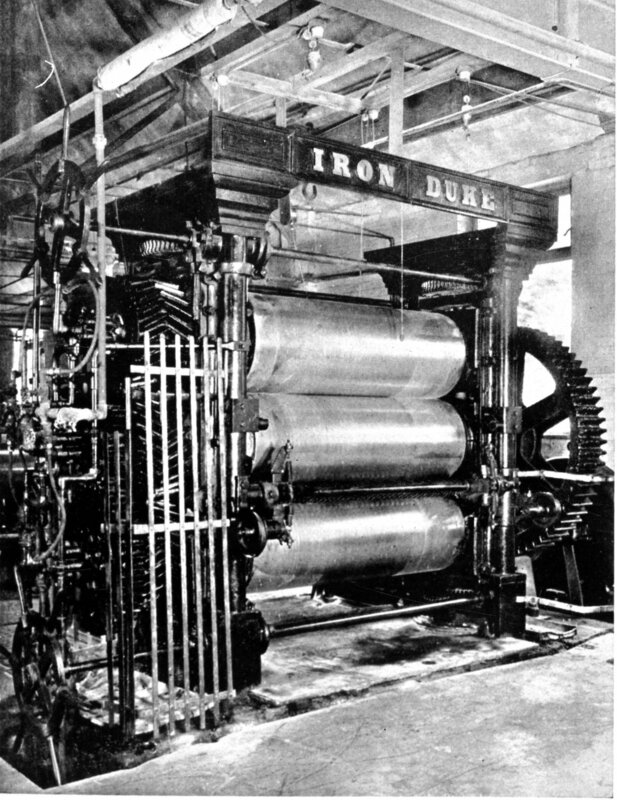 The 'Iron Duke' calender was used to roll thin rubber sheets into woven fabric, Amongst its early production were the thousands of waterproof capes for the British Army in Crimea. As Moulton's reputation grew, the rubber works at the KIngston Mill began to expand. Following the merger with Geo. Spencer & Co. in 1891, the Spencer Moulton company, with all production in Bradford, supplied rubber mechanicals for 80% of the world's railway companies. By the mid-20th century, most of the town centre was dedicated to rubber manufacture.